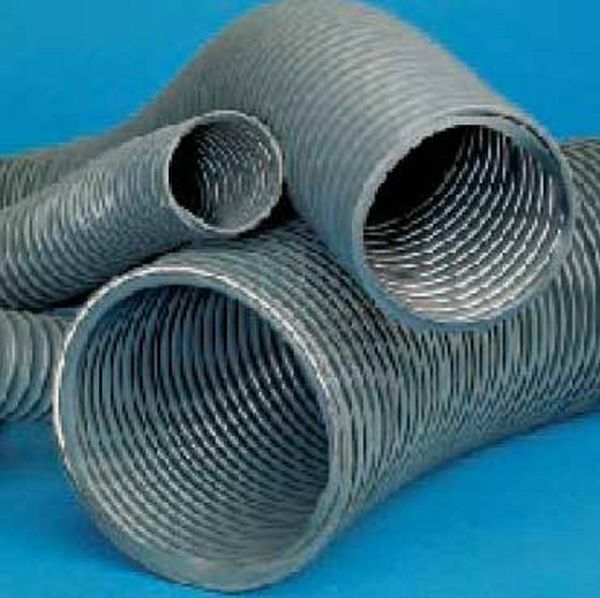 10 metre length of highly flexible, medium weight, ducting with a smooth internal bore. Ideal for transporting mildly abrasive materials including dust, wood chippings, sawdust and general light industrial debris. 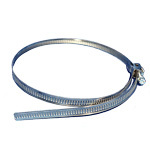 Also suitable for the conveyance of gases, fumes etc, under vacuum or low pressure. Lightweight and easy to handle - The ideal choice for use in confined areas where installation may be difficult. 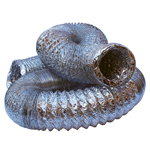 Tecflex VF is a highly flexible, medium weight, ducting with a smooth internal bore. It is ideal for transporting mildly abrasive materials including dust, wood chippings, sawdust and general light industrial debris. 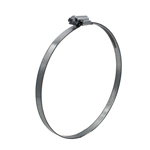 It is also suitable for the conveyance of gases, fumes etc, under vacuum or low pressure. Tecflex VF is manufactured from a high grade PVC material which is bonded to form a tough yet flexible puncture resistant hose. 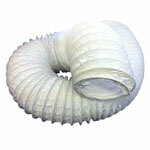 The PVC film is supported by an encapsulated high tensile steel wire helix on a close pitch. 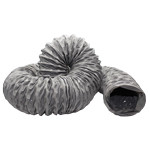 The encapsulation of the wire helix between the inner and outer hose wall results in an exceptionally smooth inner wall. 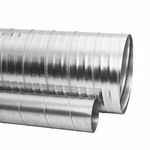 The outcome is a robust yet highly flexible ducting with smooth internal bore which is light in weight and easy to handle. This construction also makes Tecflex VF the ideal choice for use in confined areas where installation may be difficult. Tecflex VF has been designed and is manufactured to enable the efficient conveyance of air, dust, fumes and abrasive particles under vacuum or low pressure. Typical applications include dust extraction, ventilation and extraction systems in the paper, wood-working and similar industries.